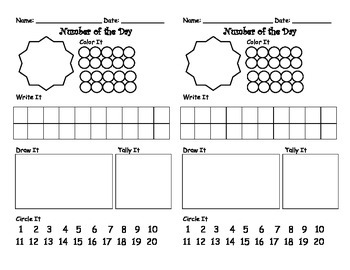 Practice a variety of ways to represent the same number with these Number of the Day journal sheets. Two number of the day sheets are on each page in order to save paper. After cutting in half, they can be completed as a stand-alone sheet or glued into an ongoing student math journal.